Joel Spruck is a J.J. Sylvester Professor in the Department of Mathematics at Johns Hopkins and works in the areas of elliptic partial differential equations and geometric analysis. 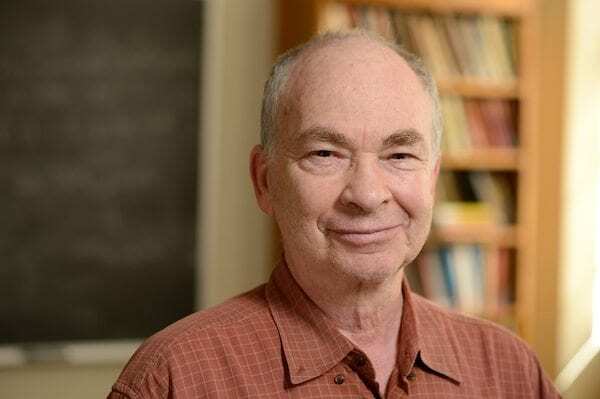 He has worked extensively on fully nonlinear elliptic equations with applications to geometry, mean curvature flow, free boundary problems with geometric constraints, semilinear elliptic equations and mathematical physics. In collaboration with David Kinderlehrer, Louis Nirenberg and Luis Caffarelli, Professor Spruck wrote important papers on free boundary regularity and existence of solutions with geometric constraints. With Basilas Gidas and Luis Caffarelli he developed a measure theoretic version of moving planes and developed the theory of asymptotic symmetry with important applications to semilinear elliptic pde and the Yamabe problem. In a series of papers with Luis Caffarelli, Louis Nirenberg (and J.J Kohn for the complex Monge-Ampere equation) he initiated an explosion of work in nonlinear elliptic equations with applications to geometry. The work on implicity defined fully nonlinear elliptic equations (functions of the eigenvalues of a matrix or tensor) has been particularly important. Working with Bo Guan, he greatly extended the scope of the CKNS papers by establishing the "subsolution existence theorem'' which allows domains of arbitrary geometry assuming the existence of a subsolution. This is particularly powerful for the real and complex Monge-Ampere equation and leads to many important geometric applications.